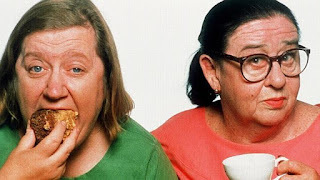 This 'Two Fat Ladies' recipe is delicious. We did find before pushing the ricotta through the sieve to drain as much as the liquid out of it first. Made for a less runny consistency. Set aside 16 of the smallest strawberries and cut the rest into small pieces. Put in a bowl with the lemon juice and caster sugar and leave to soak for 1 hour. Push the ricotta through the smallest sieve of a mouli, add cream and Campari, mix well. Sieve the icing sugar into the mixture to your own taste, put a third of the mixture aside and mix the strawberries into the remaining ricotta. Prepare pink dessert plates and divide the mixture into 16 breast-shaped molds, 2 for each plate. 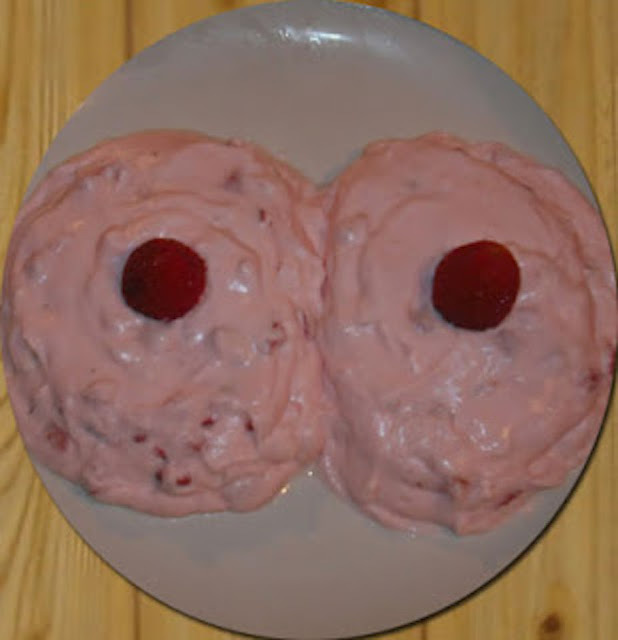 With a moistened spatula smooth the ricotta over the molds and place a strawberry on the top of each 'breast'. You can make the molds 3 hours in advance and store in a refrigerator.